Long time Donald Trump critic Arnold Schwarzenegger posted a Facebook video Thursday slamming the President for his remarks following the riot in Charlottesville that left one dead. 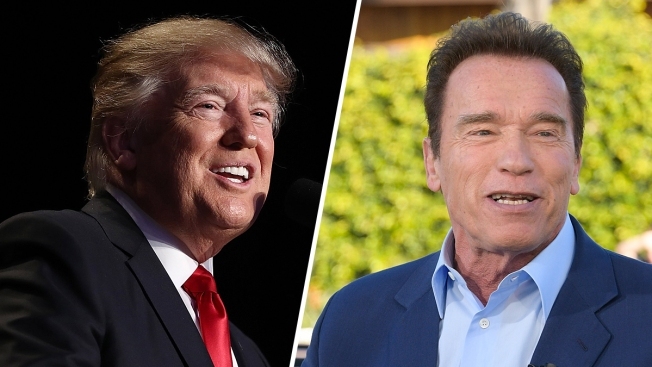 Schwarzenegger, the former Republican Governor of California, took particular umbrage with Trump appearing to show a measure of support for white supremacists. "The only way to beat the loud, angry voices of hate is to meet them with louder, more reasonable voices. That includes you President Trump," Schwarzenegger said. "In fact as president of this great country you have a moral responsibility to send an unequivocal message that you won’t stand for hate and racism." Then, speaking to a bobble-head figurine of Trump, Schwarzenegger offered the following advice: "Now let me help you write your speech a little bit. 'As President of the United States, and as a Republican, I reject the support of white supremacists. The country that defeated Hitler’s armies is no place for Nazi flags. The party of Lincoln won’t stand with those who carried the battle flags of the failed Confederacy.'"